Mix it, Leave it, Eat it! Well, I feel like I post a lot about food…but let’s be honest, who doesn’t love food?! I’m back with a delicious, easy, husband approved breakfast for you. I have seen the “overnight oatmeal” floating around for awhile but hadn’t gotten around to trying it so when I was at Target last weekend I bought a dozen mason jars and decided this oatmeal concoction was going to be a thing at our house! and man, am I glad it’s become a thing. 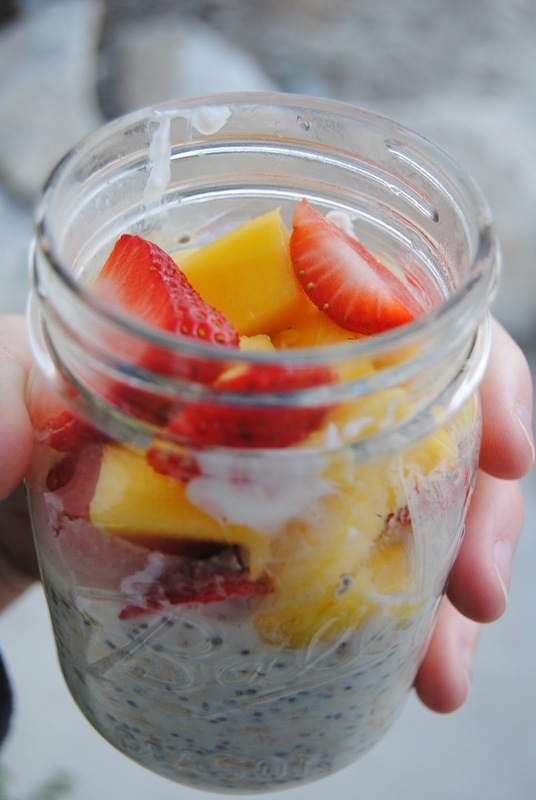 Then you mix it all together in a bowl, mason jar, cup, WHATEVER you want and stick it in the fridge so it sits overnight. Oh, and in the morning you throw some fresh fruit or whatever toppings you would like on top and take it to go or eat it right then and there! I really need to try peanut butter/banana and cinnamon/apple next….. Seriously, you can do anything with these. It’s awesome. Like always, tell me how you like them if you decide to give it a shot or what you like in them if you are already on the overnight oatmeal bandwagon! Previous Previous post: When you need a little extra fiber….